“Making America Great Again” isn’t going to happen overnight. But, 2017 has surely been a good start. So, before leaping into the new year, let’s take a look back at what Republicans have accomplished. Here are seven major conservative wins worth celebrating. In one of his first big acts as President, Trump selected Judge Neil Gorsuch to fill the Supreme Court vacancy left by the late Justice Antonin Scalia. A little over two (rather tense) months later, the Senate confirmed Gorsuch’s nomination by a vote of 54-45, and, on April 10th, he was sworn in as the newest member of the High Court. Conservatives cheered - and rightfully so. Gorsuch is an outstanding pick. He holds three academic degrees; he earned his B.A. from Columbia University, his Juris Doctor from Harvard Law School and his doctorate in legal philosophy from Oxford University. He clerked for two Supreme Court justices, former Justice Byron White and current Associate Justice Anthony Kennedy (which also makes him the first to serve with his former boss). He, like Scalia, is a committed originalist and textualist, and has often been compared to the late Justice. He is well-respected throughout legal circles, especially for his superb writing skills. Even a number of liberals have acknowledged his impressive credentials. And let’s not forget the way he expertly handled himself at his confirmation hearing. Despite the heavy media emphasis placed on the Supreme Court, thousands upon thousands of cases are decided and resolved at lower levels, which is why populating those courts with constitutionalists must be a priority. And that’s why each seat filled, no matter how small, is a yet another huge win for conservatives. Back in June, President Trump put “America first,” as he so often promises, and formally withdrew the U.S. from the Paris Climate Agreement. As expected, liberals lost it. But what many failed - or should we say still fail - to understand is that Trump’s decision really had nothing to do with climate science or the environment; it was about protecting America’s interests, specifically our financial interests. And he was right. 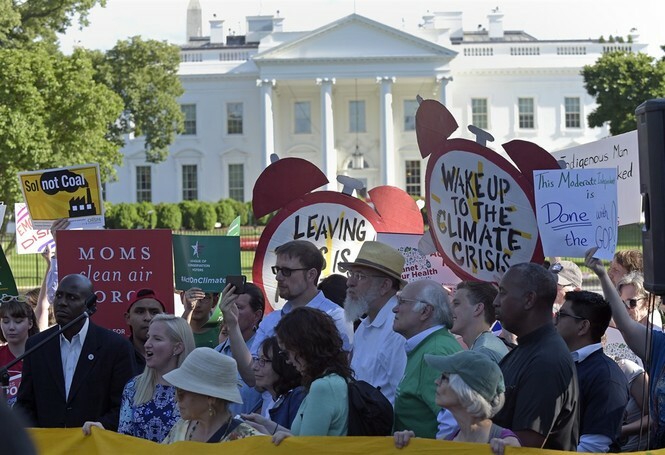 Various analysts concluded that staying in the Paris Climate Agreement would mean higher energy costs for average Americans, fewer jobs, and overall less economic growth. The Big Con at the heart of Paris is that even its supporters concede that meeting all of its commitments won’t prevent more than a 0.17 degree Celsius increase in global temperatures by 2100, far less than the two degrees that is supposedly needed to avert climate doom. So, regardless of where you stand on climate change, or how much you think we should be doing to save the environment, pulling out of the Paris Accords was the right thing for America. Throughout his campaign, Trump repeatedly vowed to defeat ISIS. Almost a year into the presidency, and Trump has (nearly) fulfilled that promise. While ISIS and its toxic ideology has by no means been expunged from this earth, its dream of an Islamic caliphate is officially dead. The terror group has lost 98 percent of the territory it once held - half of which was taken back in just the first year of the Trump administration. In July, Mosul, a major ISIS stronghold in Iraq since 2014, was finally recovered. And in October, Trump proudly announced the fall of Raqqah, the terror group’s self-proclaimed capital in Syria. I am pleased to announce that the Syrian Democratic Forces, our partners in the fight against ISIS in Syria, have successfully recaptured Raqqah – the terrorist group’s self-proclaimed capital city. Together, our forces have liberated the entire city from ISIS control. The defeat of ISIS in Raqqah represents a critical breakthrough in our worldwide campaign to defeat ISIS and its wicked ideology. With the liberation of ISIS’s capital and the vast majority of its territory, the end of the ISIS caliphate is in sight. During the liberation of the city, ISIS lost close to 6,000 fighters. And, according to the latest American intelligence, there are now less than 1,000 fighters left in Iraq and Syria; at its peak, there were nearly 45,000 in the region. Now, as stated earlier, the war is not over. While the Islamic State might have been defeated militarily, its radical ideology is still very much alive. The terror group continues to recruit sympathizers around the globe through the internet and social media to carry out its attacks. In fact, some analysts are signaling the rise, of a “virtual caliphate,” something that seems much more difficult to target and track. Hopefully, if the Trump administration continues down this path, these lone wolf attacks will become less frequent. But don’t expect to hear about it in the mainstream media - even a universal victory such as ISIS’s defeat will be ignored by the press if it means acknowledging that Trump did something right. Gun owners and Second Amendment advocates have had some significant wins - and losses - this year, but perhaps the most notable was the House's passage of H.R. 38, better known as the Concealed Carry Reciprocity Act. This bill amends the federal criminal code to allow a qualified individual to carry a concealed handgun into or possess a concealed handgun in another state that allows individuals to carry concealed firearms. In other words, H.R. 38 would allow anyone with a concealed carry permit to legally carry a concealed firearm in any state that recognizes concealed carry rights, which, as of 2014, is all 50. This means law-abiding gun owners can travel freely between states without having to worry about varying gun laws. More importantly, it means our Second Amendment rights - and, therefore, our ability to protect ourselves and our families - doesn’t end at state lines. But, of course, anti-gun liberals don’t see it that way. After the bill’s passage in the House, anti-gunners freaked, throwing out a number of lies about what they think the legislation will allow. Hopefully, Democrats in the Senate do some research on existing guns laws and a vote on the bill is actually held in the upper chamber; 60 yay votes are needed for it to make it onto President Trump’s desk. There's still an uphill climb. Concealed carry reciprocity is something gun rights activists have been pining after for years - and now, it’s within sight and discussion. 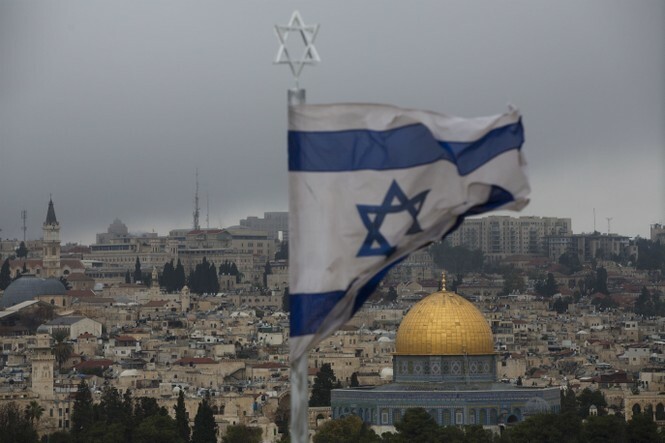 For years, United States presidents have promised to move the U.S. embassy in Israel to Jerusalem and formally recognize the city as the undivided capital of the Jewish state. Clinton, Bush, Obama; all three failed to follow through. But on December 6th, President Trump made good on his promise and officially recognized Jerusalem as the capital of Israel. Many have accused the President of derailing the peace process and placing a two-state solution “out of reach.” But Trump’s decision to formally recognize Jerusalem wasn’t just symbolic - his way of announcing to the world who’s supposed side we’re on - it was strategic. If Trump hadn’t made the move, then the stalemate between Israel and Palestine would continue. A two-state solution, the “ultimate deal” as Trump has called it, has always been just “out of reach,” because neither side is willing to budge. Perhaps this decision to formally recognize Jerusalem as Israel’s capital will put the “ultimate deal” back within reach. It’s important to note that, while Trump has formally acknowledged that Jerusalem is the rightful, undivided capital of Israel, he has not yet moved the U.S. embassy from Tel Aviv. However, as we’ve learned this year, Trump follows through on his promises. Moving the embassy will likely be no different. Well, it’s official. 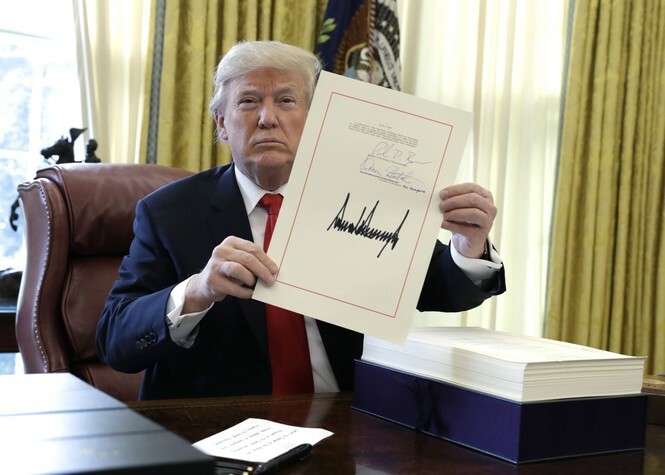 After passing in the House, the Senate and the House again, the GOP tax reform bill, known as the Tax Cuts and Jobs Act, was signed into law by President Trump on December 22. The $1.5 trillion plan, which will go into effect in February 2018, is the biggest overhaul of our tax system in over three decades. And, despite what Democrats have tried tirelessly to convince taxpayers, the new law doesn’t just benefit the rich. More than 80 percent of Americans will receive a tax cut under the law, with less than five percent seeing an increase. More specifically, according to The Wall Street Journal, “a family of four earning the median income of $73,000 can expect a $2,059 tax cut.” That seems like a decent chunk of change to us. The new law also lowers the corporate tax rate from 35 to 21 percent, bringing it on par with the rest of the developed world. Many Democrats feared corporations would simply use this extra cash to “line the pockets of shareholders.” Thankfully, they were (very) quickly proven wrong. 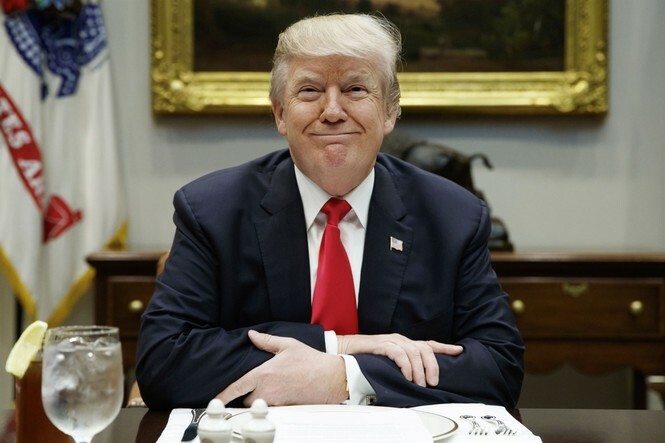 Before President Trump even signed the bill into law, major companies - including AT&T, Comcast, Fifth Third Bancorp, Wells Fargo, and Boeing - praised the legislation and announced plans to reinvest in their workers. Many of these plans included bonuses for thousands of employees and an increase in workers’ minimum wage to $15 an hour. The Tax Cuts and Jobs Act has been labeled the biggest win for Republicans this year, but it’s more than that; it’s a win for every American who will now have extra cash in their pockets to put toward groceries, their children’s college savings, home improvements or whatever else they may need. Tax reform will surely lead to significant economic growth, but we won’t really see those effects until next year. So, let’s talk about the effects Trump has had on our economy this year. According to the numbers, we’re definitely moving in the right direction. While the December jobs report has yet to be released, in November, 228,000 jobs were created. The month before, we saw 261,000 jobs added, a welcome surge after September, during which Texas was hit by Hurricane Harvey, Florida was hit by Irma and Puerto Rico was destroyed by Maria. Overall, 2.2 million jobs have been added this year. The unemployment rate is the lowest it’s been in almost two decades at 4.1 percent, and consumer confidence is at a 17-year high. GDP growth is also on the rise; in the third quarter the growth rate hit 3.2 percent, and the fourth quarter is expected to hit 4 percent. And, let us not forget the stock market. The Dow Jones industrial average went up 5,000 points this year. That’s the biggest annual-points gain ever. So yeah, you could say the economy is booming. Even CNN’s admitted it. While all of the above are huge wins, they’re not the only Republican accomplishments this year. Trump has rolled back a number of Obama-era regulations, saving billions in regulatory costs. Homeland Security put an end to the "catch-and-release" policy, a federal appellate court shut down D.C.’s “good reason” law for clearly violating our Second Amendment, the U.S. finally called out Iran for violating international law and NATO members for not contributing their fair share, and Nikki Haley firmly put the UN in its place following the Jerusalem decision. And this isn't even a full list. Simply put, despite what some may want you to think, this year hasn't been all that bad. Here's to hoping 2018 is even better.